Register for the Password Online Reset service by calling us at 6531 1555 or visit any of our Phillip Investor Centres so that you can get a new password online after the activation of service. It will take less than a few minutes for registration, activation and change of password. Please refer to the Password Online Reset FAQ here for more information. Visit any of the Phillip Investor Centres to get a new password immediately. Your NRIC or passport is required for verification purposes. Print out the form, complete it and email/mail/fax it back as indicated. Once your form has been received and processed, we will generate a new password which will be sent to your mailing address according to our system. Generally, you may receive the pin mailer three to five working days for local mailing address or one to two working weeks for overseas mailing address after the request has been received. done in a market that is eligible for order amalgamation. Please check the ‘Settlement’ section of the individual markets. How do I settle my trades in a foreign currency (other than SGD)? If you wish to settle in foreign currency (other than SGD), please ensure that your multi-currency facility application has been submitted to PSPL for approval and activation. Failing which, the contract will be settled in SGD which is subject to foreign exchange conversion risk. To opt in for multi-currency facilities, you can login into POEMS > Acct Mgt > Online Forms under Currency conversion or contact your Trading Representatives for further assistance. Can I check the status of my orders if I place my orders with POEMS? After submission of orders, you may proceed to [Order Status] to check if the orders are on queue, done, or rejected. All orders will be issued with an order number for easy tracking. You are required to check on the orders status for any possible trade correction before market opens on the next trading day. What is the validity period for my European orders? All orders submitted are only valid for one trading day. Orders not done will be cancelled at the end of each trading day. How do I check my trading limit? You can check your trading limit through the Internet, or by calling your dealing representative. Can I increase my Trading Limit? You may request an increase in trading limit by calling your Dealing Representative. What are the steps to transfer foreign shares from another securities firm to Phillip Securities? Step 1: You have to give instructions to that securities firm to transfer the shares to Phillip Securities Pte Ltd. 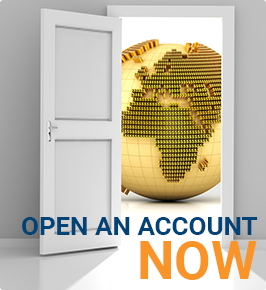 Please complete this form to transfer foreign shares from other broking house into your account with us. How can I sell through POEMS if I am holding physical certificates? Before selling, you have to deposit the share certificate/s into your trading account with Phillip Securities Pte Ltd.
What is the procedure to deposit physical certificate/s with Phillip Securities Pte Ltd? You will have to sign at the back of each share certificate under the “transferor” column or “shareholder” column. In addition, you need to submit a signed W8-BEN form if you have not already done so previously. Please click here for charges incurred. Restricted share certificates. For this type of share certificates, there will be a “RESTRICTED SHARES” stamped on the front of the share certificates. For shares listed on OTC and OTCBB. This is because currently our US custodian does not support online trading for the OTC and OTCBB. Shares certificate for counters traded in US markets. Please note that you are required to buy back your shares to cover the sale position if the physical shares deposited are subsequently found to be not good for deposition. How long will it take for the physical certificates to be credited to your account? For physical share certificates deposition, the process will take 3-4 weeks to complete. How will I know when the physical certificate is credited? You will be able to view through your online POEMS account under “Foreign Shareholding” (for Cash Trading accounts) or “Scrip Positions” (for all other account types). A fractional share is a share of equity that is less than one full share. Fractional shares usually come about from certain corporate actions such as stock splits, reverse stock split etc. What will happen to the fractional shares acquired from corporate actions? Some corporate actions may result in fractional shares/CIL. As there are expenses incurred by PSPL in handling such fractional entitlements, your right to any such fractional entitlements will be waived in accordance with the terms governing your account. Your share entitlement from such corporate actions will be rounded down to the nearest full share. What is Cash in Lieu (CIL)? CIL is the payment made in lieu of any fractional share entitlement from certain corporate action. What happens if I fail to pay or contra my purchase by due date? If you fail to pay or contra (i.e. sell) your purchase by due date, your purchase may be force sold by the company at its discretion without notice to you. Phillip Securities Pte Ltd (‘PSPL’) has the discretion as to the price and volume put up for force sell at any time. PSPL is not liable to you for any losses or damages arising from the exercise of its discretion; and PSPL may recover from you the losses and expenses incurred in the force sell. Client(s) who are subject to force-selling by PSPL may be suspended from trading for a period as determined by the company. Do Phillip Securities provide tax claim services (tax relief at source or reclaim)? Phillip Securities do not have the obligation to provide tax claim services. You are advised to consult your personal financial advisor or tax advisor.